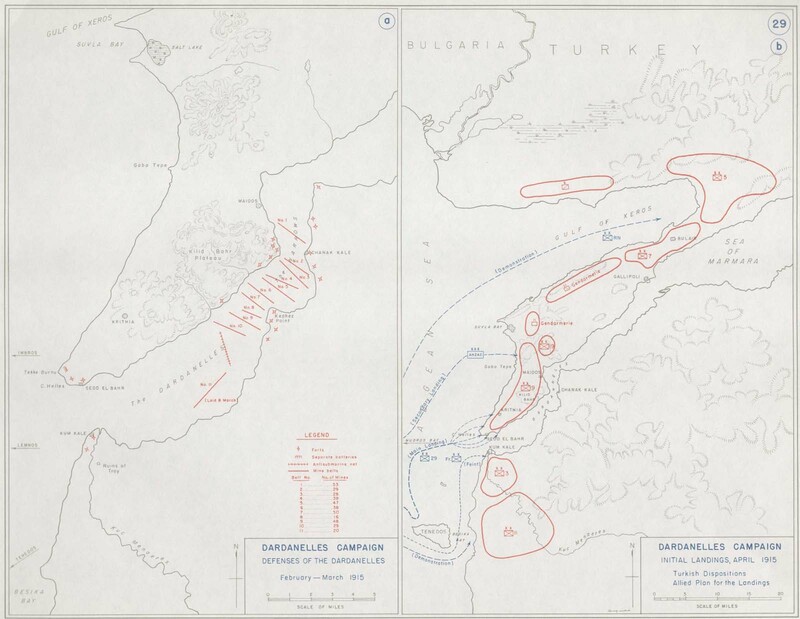 The Battle of Lone Pine, along with the Battle of Sari Bair, was planned by Allied regional Commander-in-Chief Sir Ian Hamilton as a diversionary operation intended to shift focus away from the planned Allied landings at Suvla Bay on 6 August 1915. The attack, launched by Sir William Birdwood's 1st Australian Division of 4,600 men (from 1st, 2nd and 3rd Brigades), was chiefly intended to draw attention away from the key diversionary attack at Sari Bair. It was directed against the so-called 'Lone Pine' position in Turkish hands some 100 metres above Anzac Cove - thus a key target on 6 August 1915 given the planned mass landings intended for Anzac Cove the same day. Opening on the evening of 6 August at 5.30pm the attack developed into a ferocious hand-to-hand assault ultimately spanning five days. Attacking with the sun at their back (and thus with the sun in the Turkish defenders' eyes) the Australians were astonished to find the Turkish trenches covered with logs and earth. Effectively brought to a halt while they searched for a means of entering the Turkish trenches, the Turk defenders were presented with point-blank targets; the Australians suffered significant initial casualties, a pattern that continued on both sides. Having finally gained entrance to the Turk lines via communication trenches, and with the log covers heaved off the front trench by persistent Australian troops, a fierce hand-to-hand battle was conducted, often in virtual darkness. Such was the nature of the fighting that there was often insufficient room to use either bayonet or grenades: instead fighting was conducted using fists and bayonet swords. Within half an hour - 6pm - the trench line was in Australian hands and the Lone Pine position secured two days later. 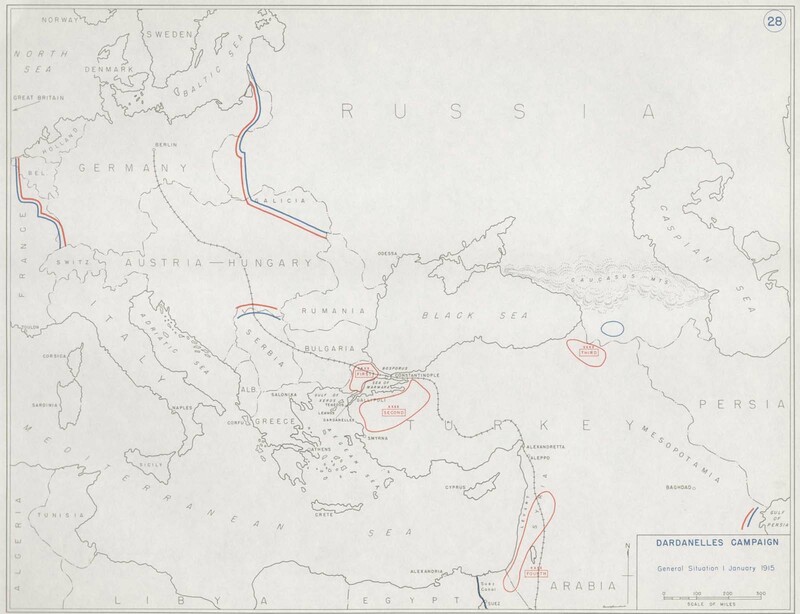 Wave after wave of diminishing Turkish counter-attacks were subsequently launched, lasting some five days in total. Casualties were heavy, 10,000 in total (7,000 Turkish, 3,000 Australian). Of these some 9,000 comprised fatalities. The Lone Pine action remains notorious to the present day. Seven Victoria Crosses were awarded to the Australian force as a consequence of fighting at Lone Pine. 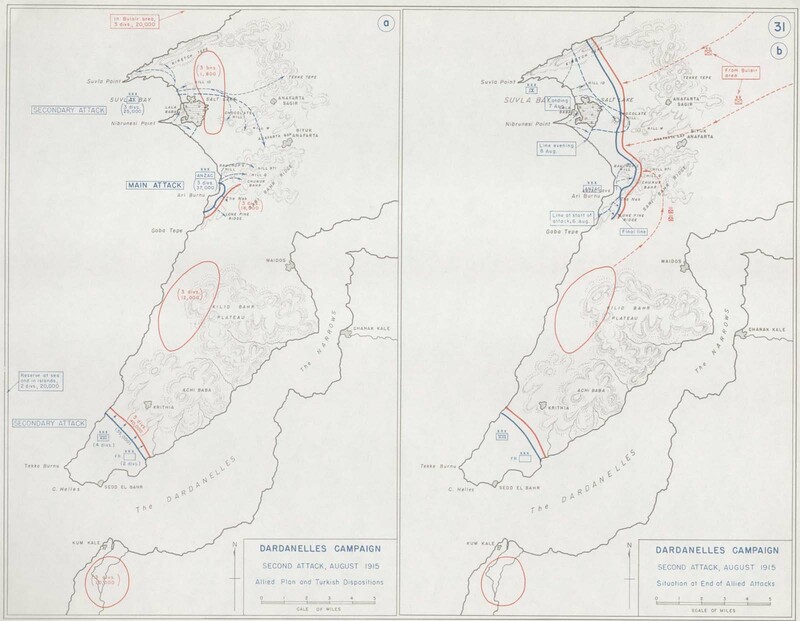 Unfortunately for the Allies the attack upon Line Pine proved far less diversionary than intended, for the Turkish reserves drafted in to defend Lone Pine were subsequently better placed to rush to the Sari Bair range once its importance became clearer. 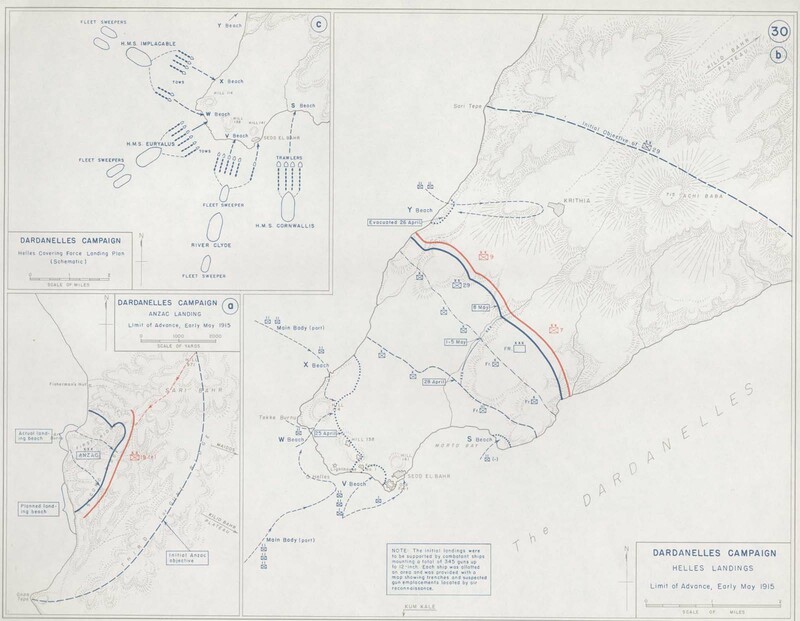 To view maps detailing the progress of the Gallipoli campaign click here; and here; and here; and here.